Director SS Rajamouli sprang a surprise on Saturday leaving all Baahubali fans asking for more, after releasing a character poster featuring one of the most-admired characters of the franchise – Kattappa. The first part of the epic series, Baahubali: The Beginning, ended with visuals of Kattappa stabbing Baahubali in the back as seen in the new poster, leaving the audience shocked, given Kattappa was the most loyal to Baahubali. On Saturday, during a live Facebook chat with his fans, Rajamouli said that he never expected the climax twist of the first part to become such a big hit. “I wanted to show Kattappa killing Baahubali to give a twist to the tale at the end. I knew it will create some level of shock value among the audience but never expected it become such a rage,” he said. Rajamouli also added that he does not see the expectations around the movie, which is sky high, as a burden. “I never felt the pressure or burdened by the expectations of the audience. I think it is an advantage,” he said, adding that so much of expectations will only ensure a good viewership for the film. 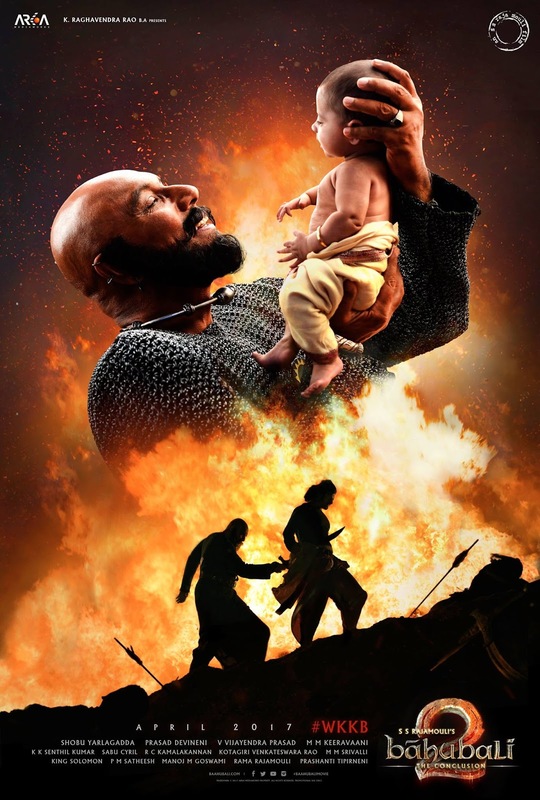 “Why did Kattappa kill Baahubali?” has become the question of the decade even as the fans of Baahubali series worldwide have been pondering over it for about two years now. And it is also one of the closely guarded secrets of Indian film industry that will only be revealed when the film’s second installment, Baahubali; the Conclusion, opens in theatres on April 28. The trailer of the film will be released in theatres in Andhra Pradesh and Telangana on March 16 and it will be available on the internet the same evening. PrabhasmyHero Blog Enters its 10th Year! Audio Track List of Baahubali 2 Revealed.